I LOVE COMC CONVENTIONS. I like big ones, I like small ones. I like busy money-making ones. I like the ones where the organizer is clearly losing his shirt. I like them with or without celebrities. I can always find something to like. Something odd or fascinating. Something new or something that tickles my sense of nostalgia. And just to go on the record, I really enjoyed the most recent incarnation of Wonder Con held March 16 – 18 in Anaheim. More about that later. At Wonder Con this year, an old friend of mine challenged me to start posting to this blog again. So I’m going to go slow. Slower than I would like. Slower than any dedicated blogger would find acceptable. But I’m accepting the challenge. I’ve been away a long time, but I’m back … sort of. 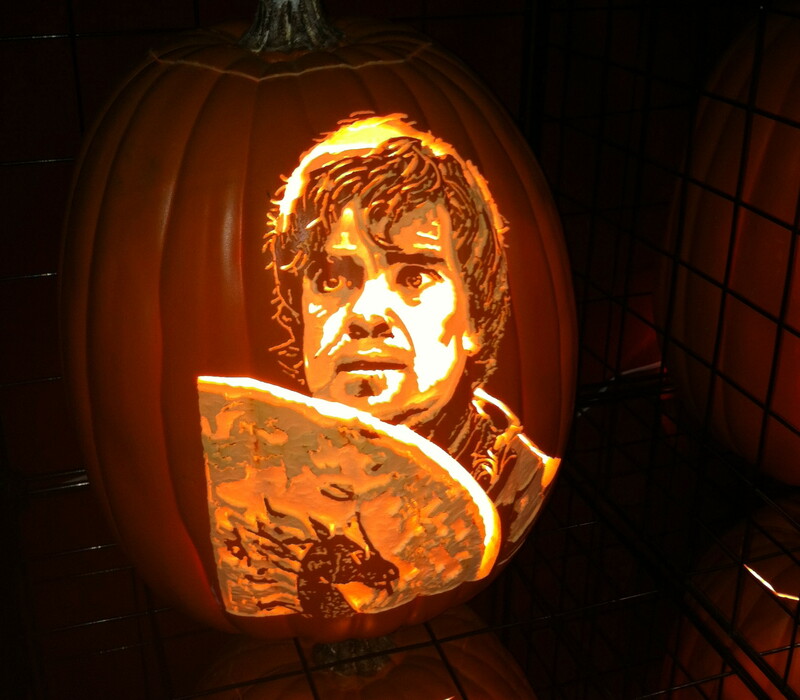 The coolest thing I saw at Wonder Con this year was a tiny 10X10 booth manned by an artist by the name of Alex Wer, The Pumpkin Geek. 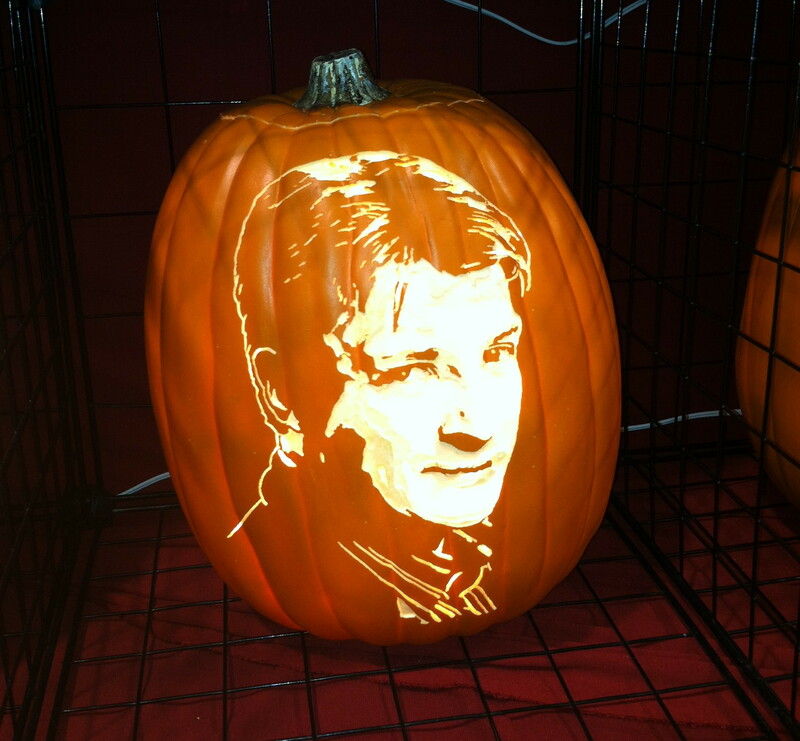 Let me say that agian to let it sink in … THE PUMPKIN GEEK. Feast your eyes on this. Finally, the amazing Peter Dinklage has a role worthy of his talent, wit and charisma. Thanks GAME OF THRONES! 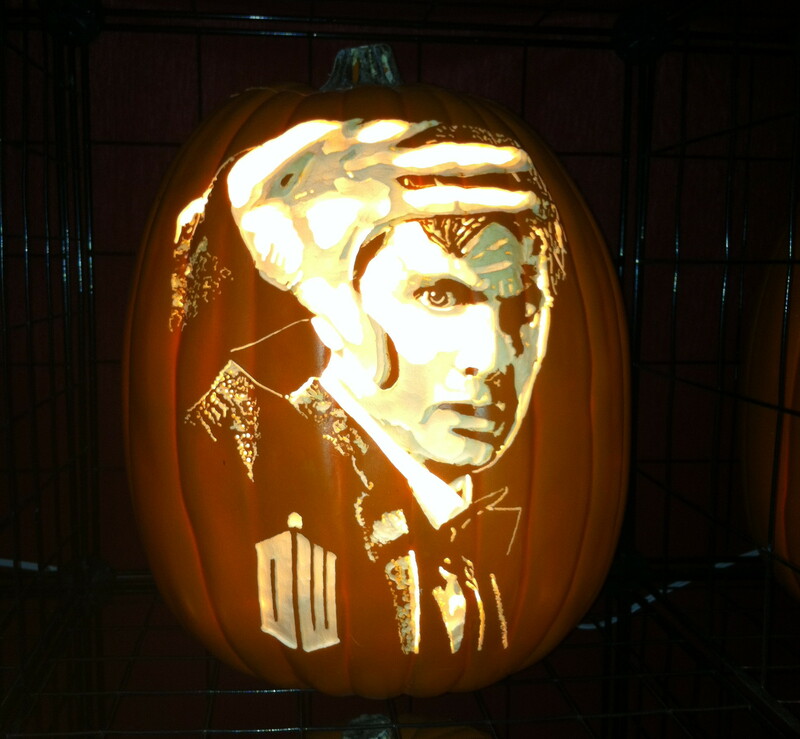 If you told me in my 20's that I'd be a DR. WHO fan, I would have laughed in your face. Now I am a convert. 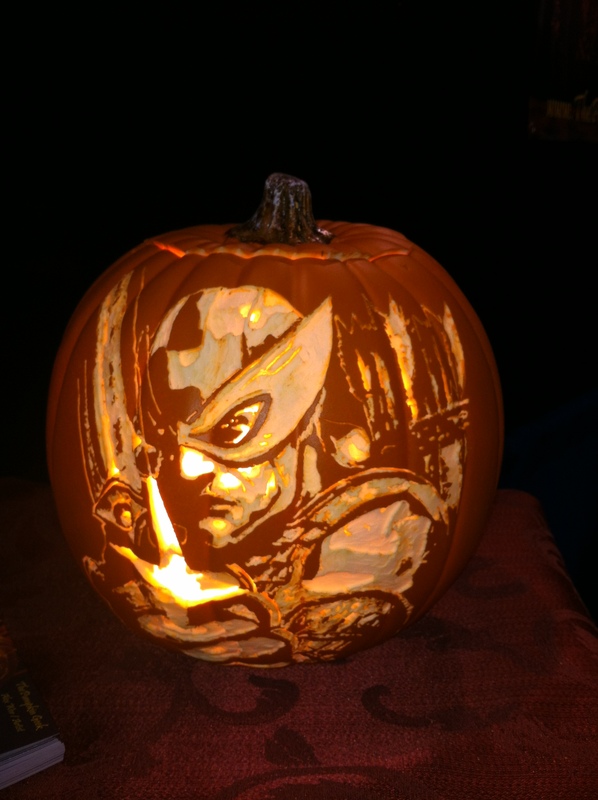 Alex has taken the carving of artificial pumpkins to an amazing level. I told him when I saw his stunning work that I would post pictures on my blog, so now I’ve killed two birds with one stone. A new Funnybook Fanatic post and providing a little free promotion to a guy I only met once, but loved his work. I hope he keeps coming to conventions. I hope he makes a lot of money. I hope to own one of his cool creations one day … as soon as I can commit to one that I must have for years and years to come. So with one plug out of the way … I have another very important one. If you aren’t reading the fabulous blog called LONGBOX GRAVEYARD. You are missing something really special. So as soon as you are done reading this … go read Paul O’Connor’s truly entertaining achievement in blogging aimed specifically at guys like me. CLICK HERE! And now a few words about this year’s Wonder Con. I hope that the organizers find a way to make it … or something like it … or something exactly the same with a new name … a regular event. The people who organize Wonder Con are the same fine people who run Comic-Con International in San Diego each year. The gathering in San Diego has grown in size, attendance and reputation to a degree I don’t think anyone imagined 10 or 12 years ago. San Diego Con is too big in a lot of ways. I’m not one of those “old timers” who pine away for the days of yore when San Diego was smaller or more focused on actual comic books. I think San Diego is an truly colossal and tremendous event. Like I said at the top … I LOVE IT. WonderCon in Anaheim this year was very well attended. I believe that it proved that Southern California can support TWO great conventions every year. San Diego attendance sells out in hours. That is a lot of demand and it also speaks for a possibility of a lot of unfulfilled demand. Perhaps those frustrated by their inability to attend San Diego could be serviced by another show in Los Angeles or Anaheim. Perhaps holding the conventions approximately six months apart would also serve the needs of the wide variety of publishers, vendors and media companies that use conventions to promote their work to fans. 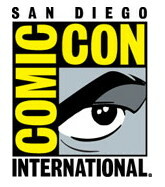 WonderCon has been operating in Northern California (first in Oakland, then in San Francisco) for a long time. I don’t have any idea what the long term growth prospects are if the show returns to point of origin. If it was going to provide a “release valve” for the crowds in San Diego, it seems to me that it would have happened already. It must also be said that other convention organizers have tried their luck in Southern California in recent years with only limited success. WonderCon was proof that the people will come, especially to a well-run, well-promoted event. I’d love to see it happen again.